Let our technicians perform multi-point inspections! Let our experienced undercar care service providers work on your vehicle! GETTING A LITTLE WORN OUT? Do your tires need inspected? Losing traction? 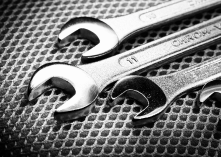 Bankert's Garage LLC Offers Auto Repair Services You Can Count On! 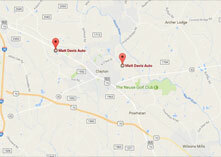 Bankert's Garage LLC is the automotive expert in New Oxford, PA 17350. Since, 2007 we've provided the New Oxford area with reliable, affordable automotive maintenance and repair services including 4x4 Services, Alignment, Brakes, Car & Truck Care, Domestic Cars & Trucks, Electrical Services, Electronic Services, Engine & Transmission, Engine Maintenance, General Services, Heating and Cooling Services, Import Cars & Trucks, Inspections and Emissions, Quick Lube Services, Tires, Transmission Services and Undercar Services. We have experience servicing all makes and models of domestic and import vehicles, and we're honored to keep vehicles throughout the New Oxford area reliable and well-maintained. Our skillful mechanics will take great care of your vehicle too, quickly diagnosing any problems and offering cost-effective solutions to get you back on the road. Call Bankert's Garage LLC today at 717-624-0420! You can also send us an email. Either way, we're looking forward to providing you with reliable automotive service! Bankert's service is the greatest, very professional. My mom and I have been going here for the past 5-7 years. They always get the job done right and don't have to worry about taking vehicle back for the same issue like other auto shops. He always stands behind his work and pleasant to work with and gets your vehicle fixed quick and on time. I will continually keep going here to have my vehicles fixed. Also really good with quote on how much the repair could cost. They are the best. I've been using them for almost two years and I've never had an issue where I'm concerned about them trying to rip me off for more than I need. I have no problem recommending them to anybody. Best garage in town! I never notice when things need fixed on my car. I was in desperate need of new struts and got it done at Bankert's. It feels like a whole new car! Beyond impressed! And everyone is very kind! Chad Bankert has been our auto repair specialist for 3 years. He has replaced two engines and maintained all of our vehicles in a timely, cost competitive and thoroughly professional manner. He has always demonstrated to our family that he is absolutely committed to our satisfaction. I highly recommend him for ALL of your automotive needs! Took my 2000 Saturn to 3 other transmission places. Each wanted about $3000 for a new transmission. Before I took to Bankert's, they told me that there were 2 issues that were known about the Saturn transmissions and that it was probably one of those issues. It was. It was a bad modal in the transmission. I appreciated their honesty in saving me $2300. They were very honest and very friendly. I will never look any further for my car repair or inspection. Top notch service with an attention to detail approach. Chad and the mechanics are very personable and walk you through the entire process. Check them out. You won't be disappointed.